This matter was heard before Administrative Law Judge (ALJ) Deborah Myers-Cregar, Office of Administrative Hearings (OAH), on November 30, December 1, 2011, January 17, 18, 19, February 7, 8, in Mission Viejo, California, and telephonically on March 12, and March 21, 2012.1 Epiphany Owen, Attorney at Law, appeared on behalf of District. Tania Whiteleather, Attorney at Law, appeared on behalf of Student. Dr. Rona Martin, District’s special education director, and Susan DePass, District’s program specialist, were present each day of hearing representing District. Student and her parents were present each day, except Student was not present on December 1, 2011, and her father was not present on February 7, March 12, and March 21, 2012. Student filed her request for Due Process Hearing on May 20, 2011. A continuance was granted for good cause on July 5, 2011. At the parties’ request, written closing briefs were ordered to be simultaneously served by the close of business on April 9, 2012. On April 4 and April 6, 2012, the parties mutually requested a one week extension of time to file closing briefs. On April 9, 2012, for good cause shown, the parties were granted an extension to April 16, 2012. The parties filed timely written closing briefs. On April 16, 2012, Student filed a motion to reopen the record to admit an exhibit which the ALJ ruled was not admissible at hearing. Student did not identify or produce the exhibit five days before the hearing started. Student’s motion is denied and the exhibit will not be admitted. 1 ALJ Darrell Lepkowsky recused herself on the first day of hearing, November 29, 2011. 2. Whether District denied Student a FAPE in her May 14, 2010 triennial individualized education program (IEP) and individualized transition program (ITP) meeting by failing to offer her an appropriate placement in the least restrictive environment (LRE) for the 2010 extended school year (ESY). 3. Whether District denied Student a FAPE at the September 24, 27 and October 1, 2010 IEP, by failing to offer her an appropriate placement in the LRE for the 2010-2011 school year. 1. Student is 21 years old. At all relevant times, she lived within the jurisdictional boundaries of the District. At birth, Student suffered from elevated bilirubin levels causing a traumatic brain injury. Student’s qualifying conditions for special education included limited intellectual function (1996-2005), speech and language impairment (1995, 2005-present), and more recently, traumatic brain injury (2010 to present). 2. Student’s traumatic brain injury resulted in damage to the left temporal and frontal lobes and associative tracks. This resulted in significant deficits in cognition, expressive and receptive language, and auditory processing. Student had an auditory processing disorder with features of decoding, integration and auditory association profiles. She had a severe receptive and expressive language disorder with difficulty with speech discrimination. Student’s ability to answer a question or use spontaneous oral language required more time to formulate and execute responses. She had limited abilities in language comprehension, expression, eating, meal preparation, money and value, work skills and home/community orientation skills. An assistive technology assessment determined that Student could benefit from a keyboarding program, a portable word processing device, software and a slant board. 2 Student raised a fifth issue, which seeks specific remedies, which will be addressed should Student prevail and be entitled to compensatory relief: Whether Student properly rejected District’s October 1, 2010 offer of placement and services, and, if so, is entitled to compensatory remedies for District’s denial of FAPE, including assessments in the areas of central auditory processing and assistive technology; the cost of tuition and educational services; and an order that District provide Student with placement and services in the LRE. 3. In 2006, Dr. Nancy Markel conducted a neuropsychological assessment of Student, and she attended two of Student’s IEP meetings. In 1982, Dr. Markel earned a Ph.D. in Professional Psychology in 1982. She completed her post-doctoral fellowship and studies over eight years at the Neuropsychological Center in San Diego, the San Diego County of Mental Health, and under a Professor of Neurosciences at the University of California, San Diego (UCSD) Medical School. In 1985, Dr. Markel became a member of the American Psychological Associations’ Division 40, Clinical Neuropsychology, and Division 22, Rehabilitation Psychology for Children and Adolescents. From 1985 through 1991, she practiced as a Clinical Neuropsychologist at the Neuropsychological Developmental Center. In 1991, she opened her practice as a Neuropsychologist. From 1991 through 1999, she worked as a Clinical Neuropsychologist and a professor on the neuropsychology training team at Sharp Rehabilitation Center for UCSD and SDSU’s joint doctoral program. From 1996 to the present, she had been a professor of Neuropsychological Clinical Training at Sharp Rehabilitation Center for the California School of Professional Psychology. From 1998, to the present, she had worked as a Clinical Psychologist at the Developmental Evaluation Clinic at Rady’s Children’s Hospital at UCSD. 4. Dr. Markel reported that Student suffered a brain encephalopathy related to elevated bilirubin levels, resulting in 15 impacted areas of neurocognitive function: mixed receptive-expressive language, auditory processing, visual processing, processing speed, auditory working memory, visual working memory, reading, math, written expression, verbal memory, visual memory, visual motor integration, fine motor coordination, hypotonicity, and executive functioning. Additionally, she noted symptoms of depression and mood irritability. 5. Dr. Markel’s testing included the Wechsler Intelligence Scale for Children-Fourth Edition (WISC-IV), which had a 95 percent confidence interval. Student had a Full Scale IQ score of 57, 59 in Verbal Comprehension, 82 in Perceptual Reasoning, 54 in Working Memory, and 62 in Processing Speed. Dr. Markel found a statistically significant discrepancy between Student’s Perceptual Reasoning Index and her other index scores, and as a result, she opined that Student’s Full Scale IQ of 57 should not be used as a measure of her cognitive ability. On the Comprehensive Test of Nonverbal Intelligence (CTONI), Student scored an 86 on her Nonverbal IQ, an 85 on Pictorial Nonverbal IQ, and an 89 on Geometric nonverbal IQ. Dr. Markel opined that Student’s non-verbal skills score of 82, and her CTONI non-verbal IQ score of 86, confirmed that Student’s innate intelligence fell in the low average range when language and processing speed were not utilized. The Wide Range Assessment of Memory and Learning, Second Edition, (WRAML-2) demonstrated response delays, including five minutes and 20 seconds on the Story Memory Delayed Recall; over two minutes on the California Verbal Learning Test-Children’s Version (CVLT-C) Trial 5: and almost three minutes on the WRAML-2 Verbal Learning Delayed Recall. Student’s 2006 Woodcock Johnson Pscyhoeducational Battery-III Test of Achievement (WJIII) placed her Total Achievement standard score of 54 in the .1 percentile. 6. On August 6, 2008, District and Parents entered into a settlement agreement, which set forth the legal obligations between District and Parents through June 23, 2010. Parents prospectively waived all rights to pursue matters related to Student’s education under the IDEA and the Education Code through June 23, 2010 before the Office of Administrative Hearings. The parties agreed that Parents were exclusively responsible for providing educational services for Student through June 23, 2010, in exchange for an undisclosed amount of money. Parents excused District from all educational obligations, including convening IEP meetings through June 23, 2010, and District agreed to facilitate certain transition services, including enrolling Student in a California High School Exit Examination (CAHSEE) preparation course, and enrolling Student in its Futures Summer 2010 ESY program, as referenced in paragraphs 4B and 5 of the settlement agreement. Parents agreed to contact District by March 1, 2010 if Student was interested in public school placement for 2010-2011 school year, and if Student was interested in enrollment in the Futures program for ESY 2010. Additionally, the parties agreed to convene an IEP team meeting by June 23, 2010. The parties agreed that District would need information regarding Student’s present levels of performance and educational needs. Parents consented to assessments in the areas of communication/ language, adaptive behavior, social/emotional and academics. Parents also agreed to provide District with written consent to speak with Student’s service providers for the 2008 through 2010 school years. 7. During the period covered by the settlement agreement, Student received remediation and academic instruction from New Vista School (New Vista). Student received private speech and language services. Parents did not contact District by March 1, 2010 to indicate their interest in public school placement for the 2010-2011 school year and the Futures program for 2010 ESY, as contemplated by the settlement agreement. 8. District’s summer 2010 ESY program began June 28 and ended August 5, 2010, excluding the July 4 holiday. The hours were Monday through Thursday from 7:45 a.m. to 1:30 p.m. The 2010-2011 school year began September 13, 2010 and ended June 21, 2011. District’s summer 2011 ESY program began June 27 and ended August 4, 2011, for five and one-half hours per day, Monday through Thursday, excluding the July 4 holiday. 9. On March 11, 2010, District contacted Parents for consent to conduct assessments in the areas of communication/ language, adaptive behavior, social emotional and academics. No other alternative means of assessment were identified or requested on the plan. District asked Parents to sign the release of information form to allow District to contact direct providers. District intended to hold an IEP meeting to review the assessments by June 23, 2010, and gave Parents notice of their procedural safeguards. Parents promptly provided written consent for the assessments and the release of information. Parents did not indicate the need for additional assessments beyond those identified in the settlement agreement. 10. On April 6, 2010, District sought Student’s records from New Vista. District obtained New Vista’s official transcript on April 26, 2010, but by May 12, 2010, District had not received from New Vista Student’s present levels of performance, results of the Kaufman Test of Academic Achievement (KTEA), and the status of Student’s goals and objectives since a September 20, 2007 academic evaluation. District then requested that information directly from parents. On April 16, 2010, District gave notice of a May 14, 2010 IEP team meeting, which was intended to be Student’s triennial review, annual IEP, and to develop an ITP, which included post secondary goals and transition services. District provided Parents’ with draft IEP goals for their review in advance of the scheduled IEP. 11. On April 27 and 29, 2010, Dr. Larry Luby, a qualified licensed psychologist, conducted a comprehensive multidisciplinary assessment. Student was 19 years old at the time. He assessed Student using a variety of assessment instruments, ranging from record review, interviews, standardized tests, classroom and clinical observations. He observed Student, and read the teacher observation report. The assessment instruments were normed for assessing cognitive, behavioral, physical and academic factors relating to Student’s cognition, school readiness, basic concept development, social-emotional development, adaptive behavior, communication, and physical development. The assessments included the Scales of Independent Behavior, Revised (SIB-R) parent and transition teacher report, and the Woodcock Johnson Third Edition (WJIII) tests of achievement. Dr. Luby reviewed previous psychological assessments, such as the Leiter, the Vineland Adaptive Behavior Scales (VABS), the Beery Buktenica Developmental Test of Visual Motor Integration (VMI5), the WISC III, and the Kaufman Test of Educational Achievement (KTEA). The assessment instruments demonstrated the level of Student’s need for special education services. 12. In the area of adaptive skills, the SIB-R demonstrated Student had limitations in six adaptive skill areas: language comprehension, language expression, eating and meal preparation, money and value, work skills, and home/community orientation. Her functional independence was age appropriate, and her personal living skills were age appropriate to advanced. Her motor skills were advanced. 13. JoAnn De Yonker conducted the WJIII, form B. Academic achievement tests demonstrated that on Broad Reading, Student’s age equivalent scores fell between eight years, two months, and 12 years, three months. On Written Language, Student’s age equivalent scores fell between 10 years, three months and 11 years, two months. On Broad Math, Student’s scores fell between eight years, one month and eight years, 10 months. On Oral Language, Student’s scores fell between seven and 11 years. Student required additional time to respond in class, and required teacher prompts and cues. 14. Both Dr. Luby and Ms. De Yonker observed Student at New Vista and interviewed many of her teachers. New Vista instructed her at the second grade level in math calculation and reasoning, and between the third and fifth grade level in basic reading skills, reading comprehension, and written expression. Dr. Luby and Ms. De Yonker interviewed Linda Boccia, who taught Student’s math lab. Student needed more one to one attention than her peers required. Mr. Greenfield taught Student’s transitions social skills class, career exploration and post high school preparation class with seven students. Mr. Greenfield advised them that Student needed a visual tracker to keep track of time, and could make change up to $20.00. Linda Glass taught Student science and health in everyday living with four students. She reported Student needed repetition of concepts. Linda Boccia taught Student math. Student was at the second and third grade level. Student had completed subtraction, was working on multiplication facts for two and three, and could operate a computer program. Student needed to review to maintain her skills. Marilyn Turney taught Student’s writer’s workshop with eight students. Student worked at the fourth grade level. Student’s processing of information was slow and required repetition and prompts. Student required more one-to-one attention than her peers did. Shannon Payne taught Student Reading at the fourth and beginning fifth grade level. Student’s spelling inventory scores placed her in the sixth grade to middle school level. Student needed slightly less one-to-one attention than her peers. Student required prompts and supports, used the Seeing Stars curriculum, and previously had completed the Lindamood Phoneme Sequencing Program. Student was distracted by the social aspects of class. She often forgot what she was supposed to work on during class. Dr. Luby and Ms. DeYonkers observed that Student was generally attentive to the teachers, the lessons, the workbooks and class discussions. Student interacted with her peers and contributed to the class. She showed inattention and off task behaviors between two and six times in a 15 minute segment. However, that behavior was similar to her peers. Student had no disruptive behavior. 15. Dr. Luby’s and Ms. De Yonker’s observations and testing on the WJIII confirmed that Student’s oral language and academic skills were in the very low range for her age. Her fluency with academic tasks and her ability to apply academic skills were in the very low range. Student’s standard scores were low in broad reading, brief reading, broad written language, written expression, and brief writing. Her standard scores were very low in broad mathematics, math calculation skills, and brief mathematics. Her achievement scores in broad math demonstrated a significant weakness. Ms. De Yonker’s and Dr. Luby’s assessment resulted in a comprehensive written report that included all observations, assessment results, consideration of Student’s academic performance, adaptive behavior, and social and emotional function at school. Their assessments, observations, and interviews with Student’s teachers and Parents did not identify additional suspected disabilities. The assessment made a reasoned recommendation that Student required special education and related services to access her educational curriculum. They discussed the report at the May 14, 2010 IEP meeting. 16. At hearing, the parties stipulated that the speech assessment was conducted properly, the goals were appropriate, and the services were appropriate. 3 Deborah Marquez, a qualified speech pathologist, assessed Student using a variety of assessment instruments, ranging from record review, interviews, standardized tests, and clinical observation. She reviewed District’s 2008 speech and language assessment conducted by pathologist Dr. Lauren Franke, which relied on the Clinical Evaluation of Language Fundamentals-Fourth Edition (CELF-4) and the Test of Pragmatic Language-2. Ms. Marquez also reviewed California State University, Long Beach’s assessment of the CELF-4 completed in October 2009. The CELF-4 was normed for assessing factors relating to speech and language and auditory processing. Student had profound language impairment, significant memory deficits, and difficulty processing verbal information. 17. Ms. Marquez observed Student during the assessment and noted she had processing delays in receptive and expressive tasks. Student scored in the very low range on the Peabody Picture Vocabulary Test-Fourth Edition (PPVT-4), a receptive vocabulary test which assessed the understanding of single word vocabulary. The CELF-4 assessed auditory processing and verbal expression in the areas of semantics, morphology and syntax, and recall and retrieval of spoken language. Student’s scores fell in the very low range. Student’s speech and language provider, Barbara Pliah, responded on the CELF-4 that Student’s rate of processing information and responding was inordinately delayed and impeded social communication. Ms. Pliah also noted that Student’s skills for activities of daily living involving time, money, measurement, sequencing, and problem solving were impaired. Mother responded on the CELF-4 that Student’s pragmatic skills were age appropriate. Mr. Greenfield, Student’s transition teacher at New Vista, responded on the CELF-4 that Student’s pragmatic skills were not age appropriate. 18. Ms. Marquez observed Student during two class sessions at school and one speech therapy session at Pliah Speech and Learning Center. Student was able to work semi-independently and on task for 25 minutes. She was not distracted by her peers, who were talking. She was able to follow directions, and she initiated questions relating to a test. Ms. Marquez observed Student during Ms. Pliah’s 30-minute speech and language session. Student was focused and attentive during the one-to-one sessions. Student answered questions, smiled easily used body language and facial expressions. Student’s grammar and vocabulary were below her age, but were functional. Her spontaneous verbal language contained pauses, revisions, and lacked salient information. Ms. Marquez interviewed Mr. Greenfield, who reported Student’s recent oral report was cohesive and needed few revisions. Student responded well to topics when she was prepared ahead of time. She was able to follow two-step directions, but had difficulty with more complex directions. 3 At hearing, Student stipulated that District’s speech and language assessment was appropriate, the goals were appropriate, and the services were appropriate. Despite the stipulation, District’s exhibit 13 and Student’s exhibit J were admitted into evidence to assist the ALJ in better understanding the evidence and Student’s unique needs. 19. Ms. Marquez’ assessment resulted in a comprehensive written report that included all observations, assessment results, and consideration of Student’s function at school. Ms. Marquez noted Student’s CELF-4 scores which demonstrated very low auditory processing and verbal expression scores. She recommended that Student receive speech and language services to access her educational curriculum. Ms. Marquez discussed her report at the May 14, 2010 IEP meeting. 20. On May 14, 2010, Student’s triennial, annual and transition IEPs were held. The IEP team members in attendance included District’s Director of Special Education Dr. Rona Martin, program specialist Susan De Pass, special education and Futures teacher Barbara Schulman, school psychologist Dr. Larry Luby, speech and language pathologist Deborah Marquez, special education teacher and resource specialist JoAnn De Yonker, District’s attorney Epiphany Owen, Student’s attorney Tania Whiteleather, Parents, Student’s sister, and New Vista School executive director Nancy Donnelly, who identified herself on the attendance sheet as Student’s general education teacher. 21. The IEP document consisted of a one page agenda, 12 pages of 12 proposed goals, and a two page participant sign in sheet. At the end of the meeting, two pages of notes were prepared which summarized the discussions. 22. The IEP notes demonstrated that the team discussed Student’s present levels and performance at New Vista. At age 19, Student was academically at the third, fourth and fifth grade level. Student followed a regular high school schedule in a class of three students. She followed a modified curriculum, and it took her significantly longer to learn it. She participated in consumer math and practiced patronizing stores, but had difficulty generalizing her knowledge. Student required prompting and time to formulate her answers. Student’s use of language was improving. She could respond to ‘wh’ questions and could be redirected. She was not ready to go into the community by herself or hold a job with a supported employment coach. Student required safety instruction. Ms. Donnelly calculated Student’s credits, and determined she was not ready for graduation. 23. Dr. Luby explained his assessment and discussed the reports from New Vista teachers and Parents. Ms. Donnelly noted Student had difficulty generalizing and applying her knowledge. Ms. De Yonkers discussed her observation of Student’s classes at New Vista, and reviewed her assessments. 24. At hearing, the appropriateness of Student’s present levels of performance and the appropriateness of the proposed goals were not disputed. Student’s proposed IEP annual goals were in the areas of math subtraction with regrouping, telling future time, math multiplication, math money skills, career exploration, assertiveness and response to situations, reading vocabulary and word recognition, writing applications and forms, reading comprehension, vocational task completions and directions. The IEP goals supported her post-secondary goals in the areas of education/training, employment, and independent living. 25. The IEP team discussed the Futures program for the 2010 ESY class, referenced in paragraphs 4B and 5 of the settlement agreement, which was taught by special education teacher Barbara Schulman. Ms. Schulman’s class included discussions of summer plans and organized activities. The students were 18 to 22 years old and had a variety of disabilities. The program was located in a portable building at a District site. District discussed that it also had a program for students over 18 who were working on a high school diploma. There was no evidence District made a separate written offer of placement in the IEP for summer 2010 ESY, beyond that offered in paragraphs 4B and 5 of the settlement agreement. 26. For the 2010-2011 school year, the IEP team discussed the possibility of Student attending the Futures transition program for 18 to 24 year old students. The Futures program provided computer training, resume writing, and academic support for college. Although discussed, the Futures program was not offered as a placement for the fall of 2010 during that meeting. 27. Student’s ITP was discussed. Her career scope results were reviewed. Student wanted to work in a clothing store or a pet store. 28. Attorney Whiteleather inquired about a cognition assessment. District explained Parents had requested only the four areas listed in the settlement agreement, and that it did not know Parents had wanted any other assessments. District offered to assess in the area of intellectual development and provided Parents with an assessment plan. District also asked Parents to notify them by May 24, 2010 if Parents wanted any other assessments to be conducted. By the end of the IEP meeting, neither Parents and nor Ms. Whiteleather requested any other assessments or reassessments. 29. At hearing, Mother testified that at that IEP, she requested assessments in four additional areas of suspected disability: auditory processing, cognition, assistive technology, and neuropsychology. However, that assertion was not supported by the record. Neither the IEP notes, the subsequent written correspondence between the parties, nor the settlement agreement corroborated her testimony. 30. Parents did not sign the assessment plan provided at the IEP team meeting. On May 21, 2010, Parents requested District fund an independent neuropsychological assessment. By July 30, 2010, District agreed to hire neuropsychologist Dr. Jeffrey Owen for an assessment. On August 9, 2010, Parents signed the assessment plan. 31. Dr. Owen assessed Student beginning August 18, 2010. Dr. Owen earned a Bachelor’s degree in Psychology from UC Irvine in 1973, a Master’s degree in Psychology from University of California, Los Angles (UCLA) in 1976, and a Ph.D. in Clinical Psychology from University of Southern California (USC) in 1982. Dr. Owen was a member of the American Psychological Association Division 40, Neuropsychology, and Division 12, Clinical Psychology. He was a member of the National and California Association of School Psychologists. Dr. Owen was a Licensed Clinical Psychologist, a Nationally Certified School Psychologist and held a Pupil Personnel/School Psychologist Credential. Dr. Owen worked as a teaching assistant at UCLA and USC, and was program director of the UCLA Immersion Program in Psychology and Special Education. From 1984 to 1990, he was the coordinator of special education and psychologist at Del Mar Union School District. Since 1987, Dr. Owen has been in private practice as a clinical psychologist, performing psycholeducational and neuropsychological evaluations of children and adolescents. Since 1990, he consulted for several school Districts. 32. Dr. Owen’s independent neuropsychologist evaluation was intended to provide District and Parents with more information about Student’s cognitive function to assist with her educational planning. Dr. Owen’s assessment included normed tests for cognition, neuropsychology and auditory processing. He conducted the Wechsler Adult Intelligence Scale-Third Edition (WAIS-III), the CTONI, the Tests of Memory and Learning – Second Edition (TOMAL-2), the Delis-Kaplan Executive Function System (D-KEFS), the Motor-Free Visual Perception Test-Third Edition (MVPT-3), the Beery Buktenica Developmental Test of Visual Motor Integration (VMI-5), the Test of Auditory Processing Skills (TAPS-3), the Behavior Rating Inventory for Executive Function (BRIEF), interview with Student, interview with Parents, Parent Survey for Student Profile (Health and Developmental History), and a review of Student’s records. He reviewed but did not repeat testing from assessments conducted by District or the California State University, Long Beach. Student’s prior cognitive assessments demonstrated IQ scores ranging from 52 to 57, with higher scores on tests using non-verbal measures of intelligence, from 86 to 89. Dr. Owen also reviewed older assessments provided by Parents. 33. Dr. Owen’s assessment determined Student’s verbal cognition skills were depressed in all areas. The results of the C-TONI demonstrated her nonverbal IQ was 79, her Pictorial IQ was 79, and her Geometric IQ was 83. Student’s scores on the WAIS determined she had a full scale IQ of 70, with a 90 percent confidence interval. Student’s non-verbal cognition score was 88, the 21st percentile. Her verbal comprehension score was 78, the 7th percentile. Student’s processing speed score was 68, the 2nd percentile, and her working memory score was 63, the 1st percentile, which demonstrated that Student had deficits in immediate processing, whether it was auditory, visual or kinesthetic. Her higher level conceptualization of visual spatial information was negatively impacted by her slow visual-motor processing speed. Dr. Owen attributed her slow processing speed to her initial auditory reception, visual processing of information, and visual-motor speed. 34. Student demonstrated cognitive strength in nonverbal reasoning skills for abstract/symbolic information. She had high average abilities in visual spatial reasoning, perceptual organization, and the sequencing of visual information. Dr. Owen opined some of her sub-tests scores were not true indicators of her abilities because of the extraordinary amount of time she required to complete the timed motoric tasks. 35. The TAPS composite score of 79 was within the below average range. Student demonstrated severely delayed psychomotor processing and required an extremely long response time to questions. Her auditory processing and working memory were significantly below average. She did not perform well on tasks which required rote memory recall. She became overwhelmed when she had to mentally manipulate information in any manner. Dr. Owen concluded it was extremely difficult for Student to communicate her knowledge through words because of auditory processing deficits, slow processing speed, and expressive language delays. 36. The TOMAL-2 and the WAIS-III globally measured her memory function. Student’s scores demonstrated memory deficits at the cellular level, the synergistic interaction of nerve cells, alterations in neuron membrane and synaptic physiology, such as in ADD; and/or at the systemic level, involving the medial aspects of the temporal lobe and midline structures of the diencephalon, such as in Learning Disorders and Traumatic Brain Injury. Student had a difficult time when presented with too much information simultaneously, and became overwhelmed with too much sensory input. Her response pattern demonstrated she could only remember a certain amount of information, and could only learn a new chunk of information, disregarding the remainder. She had a limited capacity to retain a large volume of information. She had initial difficulty with each task, but after gaining an understanding of the big picture, her ability to learn the information improved. This demonstrated her right hemisphere function was more intact. 37. The Memory for Stories subtest and Learning Curve Analysis subtests demonstrated that although Student initially had very poor initial verbal reception, she acquired information well with selective reminding and repeated practice, which Dr. Owen described as highly positive growth. Her scores on Paired Recall and Object Recall subtests demonstrated deficits in the associative neural tracks between her hippocampal regions and neocortex, where learning and association are stored. Those subtests showed she had limited growth over trials. Student’s learning pattern demonstrated she was at first overwhelmed with new information, improved using rote recall, finally learned to form association by meaning and conceptual groupings, and then entirely forgot the previous information learned by rote recall. Student learned purely verbal information well by repeated practice. She obtained progressively higher scores on each subsequent trial within a subtest. Student’s long term memory retrieval was better than her short term memory retrieval. Her scores demonstrated that selective reminding of her correct answers, as well as repeated practice, had a clear benefit on long term retention of learned verbal information. Her Verbal Delayed Recall Index score of 96 placed her in the 39th percentile, which likely demonstrated she had a functional memory deficit, not an organic memory impairment. 38. Student’s scores on the Auditory Comprehension subtest and Auditory Reasoning subtest demonstrated that while she could respond to concrete information, she had difficulty answering questions which required inferential reasoning. She had difficulty using higher level verbal reasoning or abstraction to interpret language than she had processing meaningful, concrete auditory information. He opined Student devoted so much energy to paying attention and processing information that she could compensate by processing specific information, but could not effectively compensate when she was required to use memory, interpretation and reasoning at the same time. 39. On the D-KEFS, her executive function scores on six subtests showed wide variability, from high average to deficit. She showed deficits in executive functions for higher level skills such as multi-tasking, simultaneous processing, and divided attention. 40. Dr. Owen determined that Student did not meet eligibility requirements for intellectual disability because although her full scale IQ was 70, her adaptive skills were not two standard deviations below the mean. Moreover, Student had a relative strength in nonverbal cognition, with a Perceptual Organization score of 88 and a Verbal Reasoning score of 78. He attributed the discrepancy to her relatively higher abilities in processing visual spatial information than processing auditory and language based information. He concluded her depressed scores in Processing speed and Working Memory demonstrated deficits in immediate processing and reception of visual, auditory and kinesthetic information. 41. Dr. Owen observed Student’s trend over the last 15 years showing a greater nonverbal cognition than verbal cognition. Her nonverbal cognition was growing stronger over time. He recommended that she be found eligible for special education under the eligibility categories of Traumatic Brain Injury, and Speech and Language Impairment. 42. Dr. Owen determined Student needed small group instruction, close monitoring, frequent assistance, and preferential seating next to the teacher. She required a high level of adult support when initiating an assignment and monitoring her progress. He opined she needed group speech therapy. She required instruction in independent living skills and self advocacy skills. Dr. Owen recommended Student apply for services with Department of Rehabilitation, Medicaid and Social Security benefits. He recommended a workability program with vocational tasks within the classroom and home environment. He recommended transportation training and community college counseling. Dr. Owen did not recommend a specific placement. 43. On April 28, 2011, District offered to assess in the areas of assistive technology and audiology. On May 10, 2011, Student withdrew a separate due process request. Student and her counsel delayed providing consent to these assessments for several months. The two assessments were completed while this hearing was being conducted. 44. On September 24, 2010, the team for Student’s triennial, annual and transition IEPs reconvened. The IEP team members in attendance included District’s Director of Special Education Dr. Rona Martin, program specialist Susan De Pass, special education and Futures teacher Barbara Schulman, school psychologist Brent Call, speech and language pathologist Deborah Marquez, special education teacher and resource specialist JoAnn De Yonker, We Care district program specialist Kathy Purcell, Principal and general education teacher Sean Bolton, general education English teacher Chad Carter, Neuropsychologist Dr. Jeffrey Owen, District’s attorney Epiphany Owen, Student’s attorney Tania Whiteleather, Parents, and Student’s grandmother. 45. The IEP document consisted of three pages of notes, the participation sign in sheet, and the New Vista official transcript. The IEP team reviewed Student’s transcripts from New Vista. Dr. Owen’s written report was distributed and included corrections requested by Mother. 46. Dr. Owen presented his neuropsychological assessment. The IEP team discussed the definition of traumatic brain injury. Student’s testing demonstrated her left brain function was impaired, and her right brain function was good. Student demonstrated a significant discrepancy between verbal cognition and non-verbal cognition. Her processing speed and language impairments could create the impression that Student could not learn. Her non-verbal learning improved over time. Her non-verbal reasoning skills and spatial awareness were strengths. Student concentrated better when the information was abstract. Dr. Owen discussed learning strategies such as visual information rather than multi-modal, motor planning and sequencing, chunking information, and over-learning concepts. Executive function skills were difficult for her. Sensory overload made it difficult for her to retain information. Dr. Owen was not able to determine that her remediation had helped her obtain higher achievement scores. He opined her functional and self advocacy skills needed to be developed and practiced. He opined that attending community college was a reasonable plan for Student. Mother indicated she was pleased with the report, and Ms. Donnelly believed his report demonstrated a good understanding of Student. 47. At the IEP, Dr. Owen opined that independent living skills, self sufficiency and vocational skills should be Student’s focus. Dr. Owen opined Student’s academics should be functional, including functional math, functional writing and job applications. When asked, he did not opine whether Student could earn a high school diploma at that time. 48. The IEP team also reviewed a new speech and language assessment from California State University, Long Beach. Dr. Owen opined that Student’s processing speed affected her speech. Ms. Marquez did not disagree with its assessment and recommendations, but she would have focused on Student’s functional vocabulary in her daily living for her goals. 49. The IEP team agreed with Dr. Owen’s recommendation to change Student’s eligibility to traumatic brain injury, with a secondary eligibility of speech and language impairment. The team reviewed the proposed goals, which were developed with input from Student’s teachers. Upon Ms. Whiteleather’s request, New Vista would conduct additional vocabulary testing to better determine her vocabulary level. The IEP team agreed to meet three days later. 50. On September 27, 2010, the IEP team reconvened. The IEP members in attendance included District’s Director of Special Education Dr. Rona Martin, school psychologist Brent Call, speech and language pathologist Deborah Marquez, special education teacher and resource specialist JoAnn De Yonker, We Care program specialist Kathy Purcell, Principal and general education teacher Sean Bolton, District’s attorney Epiphany Owen, Student’s attorney Tania Whiteleather, and Parents. Ms. Donnelly participated telephonically. 51. The IEP document consisted of 19 pages of proposed goals, two pages of notes, parent’s rights, parent’s release of information, and the participation sign in sheet. The agenda included reviewing and updating new goals, recommending programs and services, and updating the ITP. The IEP team discussed Student’s present levels of performance, and then developed 19 proposed goals, including several new goals Ms. Whiteleather proposed on September 24. 52. The IEP team discussed New Vista’s graduation requirements, Student’s modified classes, and her 210 credits earned. Ms. Donnelly opined Student would need at least one more year of academic instruction beyond the 2010-2011 school year to achieve proficiency in her subjects. Student would have to obtain a CAHSEE waiver. 53. The IEP team discussed the ITP. Ms. Purcell discussed that Student could be eligible for social security, and supported employment opportunities through the Department of Rehabilitation (DOR). She emphasized particular documents which supported her eligibility. DOR could assist Student with attending college or other vocational goals. 54. Ms. Donnelly discussed Student’s remediation and progress at New Vista. The IEP team did not complete the ITP. District wanted to complete the ITP before it made its offer of placement and related services. The parties agreed to meet on October 1, 2010. 55. On October 1, 2010, the team reconvened. The IEP members in attendance included District’s Director of Special Education Dr. Rona Martin, District’s program specialist Susan De Pass, school psychologist Brent Call, speech and language pathologist Deborah Marquez, special education teacher and resource specialist JoAnn De Yonker, We Care program specialist Kathy Purcell, guidance technician Leanne Hartley, District’s attorney Epiphany Owen, Student’s attorney Tania Whiteleather, and Parents. 56. The IEP document consisted of seven pages of student information, present levels of performance, special health conditions and special factors, accommodations and modifications; 18 pages of 19 annual goals and four ITP goals; four pages of the FAPE offer; three pages of the ITP; one page of IEP notes; two pages of notes on Student’s annual academic goals from New Vista; four pages of Student transcripts and graduation checklists; and the participation sign in sheet. It also included an updated transcript from New Vista, one page of answers from New Vista in response to questions from the IEP team, and New Vista’s ‘IDEAS’ transition assessment. New Vista’s teachers had used visual strategies such as reading programs and software programs due to Student’s auditory processing deficits, and believed assistive technology would be helpful. 57. The IEP referenced a 2006 visual assessment which identified Student’s special health conditions of eye movement control, eye teaming ability, visual form constancy, visual sequential memory, and double vision, and which recommended Student be seated so that her view of the board was at an angle and had no glare. Additionally, the IEP referenced a 2006 audiological assessment that identified Student’s auditory processing disorder, which affected decoding, integration and auditory association. The IEP identified that Student required assistive technology in the form of an Alphasmart word processor, a slant board, and an auditory trainer trial. 58. The IEP identified the modified curriculum Student required, which included allowing additional time to complete tasks, process information, consolidate her memory and visual input; reducing the amount and length of information presented; selective reminding; repeating directions, instruction and practice; chunking information; encouraging Student to paraphrase and ask questions; providing the big picture of the lesson; using visual cues, schedules, reminders, checklists; and emphasizing symbolic information rather than pictorial information. 59. Parent presented New Vista’s annual academic goals for Student in the areas of reading lab, math, science, computer lab, art, and English. The IEP team reviewed them for redundancy, and noted there was a new English goal. The parties agreed to 11 goals in the areas of math subtraction with two digit or three digit regrouping; math multiplication up to 10’s; math money skills; self advocacy-assertiveness; reading comprehension-informational materials; following multi-step directions; problem solving scenarios; reciprocal communication/social skills; speech volume; verbal expression-explaining everyday activities; and written expression for academic class or functional content. Three goals regarding reading vocabulary/word recognition employment forms, reading vocabulary/word recognition community and household warning labels, and writing applications/forms were later withdrawn. 60. The parties agreed to four ITP goals: training or educational goal for application to Saddleback College and special services support; employment goal for completing a career portfolio including a resume; employment goal for knowledge of job qualifications; and independent living skills for understanding the DMV regulations for a California driver’s license. 61. The ITP listed the District graduation requirements and reviewed Student’s courses completed. Student completed 215 units, including 55 units of electives. District required 220 units, but Student had not competed 50 to 55 units of required classes such as one semester of English, algebra, economics, civics, health, and two semesters of U.S. history. She also needed to complete eight hours of community service and meet the District Writing Proficiency standards. Student had not passed the CAHSEE, but the ITP referenced the possibility of obtaining an exemption for the CAHSEE and for Algebra. It identified Student as being on the diploma track, not the certificate of completion track. 62. For the 2010-2011 school year, District offered Student placement in a special day class, the Futures program taught by Ms. Matranga, for 340 minutes per day of group instruction. The IEP notes demonstrated that District offered a one-to-one aide for 340 minutes per day “to meet academic goals and objectives and to obtain a high school diploma.” There was no evidence that the aide held a special education teaching credential. District also offered group instruction in a workability program 15 minutes per week of college awareness, career awareness, transition services, with a corresponding 15 minutes of specialized academic instruction for each service. District offered Student individual speech and language services, twice weekly for 45 minutes each session, and consultation with her teacher 15 minutes per week. 63. The IEP stated that Student was projected to participate in high school curriculum leading to a diploma. The IEP identified that Student was to participate in regular education for 13 percent of the day. 64. For 2011 ESY, District offered Student placement in the Futures program for 1380 minutes, or 23 hours, weekly to avoid regression. District offered college awareness, career awareness, and transition services, for 15 minutes per week in a group setting, with a corresponding 15 minutes of specialized academic instruction for each service, in a separate classroom in a public integrated facility. 65. Ms. Matranga was a special education teacher with a Bachelor’s and Master’s degree in Special Education, multiple teaching credentials, 30 years experience and substantial training. At hearing, she explained her special day class, the Futures program. The Futures program was an adult transition program for students ages 18 to 22, that addressed the areas of life skills, job skills, independent living skills. The curriculum included functional living skills such as navigating public transportation, cooking and banking. She also included social skills training in her class and on the job sites. Ms. Matranga did not teach academic state standards for reading, writing, or math. Rather, she taught those subjects for functional skills in a community-based setting, such as computer skills for internet research, budgets, public transportation, and personal safety. The prevocational program included career exploration, prevocational training, job coaching on job sites, and coordination with the Department of Rehabilitation. Ms. Matranga did not provide academic instruction for classes required for a high school diploma, but rather functional academics to support independent living. 66. The Futures prevocational and job coaching program was taught in a large classroom on the adult education campus. The classroom had a working kitchen and laundry center for vocational and functional skills training. There were no desks, no books, and no school supplies. 67. During the 2010-2011 school year, Ms. Matranga’s Futures class had 15 students, and she taught with three aides. The composition of students in her class included students with autism, intellectual disability, and other health impairment. No students were working on their high school diploma. In the past, some of her students took college courses at Saddleback College. After students completed her class, they could move to a second Futures class taught by special education teacher Barbara Schulman. 68. Ms. Matranga had experience teaching students with traumatic brain injury, and she understood that they had individual needs which were distinct from other disabilities. She had reviewed Student’s recent testing, but had not worked with her or observed her in an educational setting except when Student came to her class for a tour. Ms. Matranga did not participate in Student’s 2010 IEPs, but had reviewed the IEP offer. According to her understanding of the IEP, Student would have received group instruction in Futures, with her providing individual specialized academic instruction 15 minutes per week. 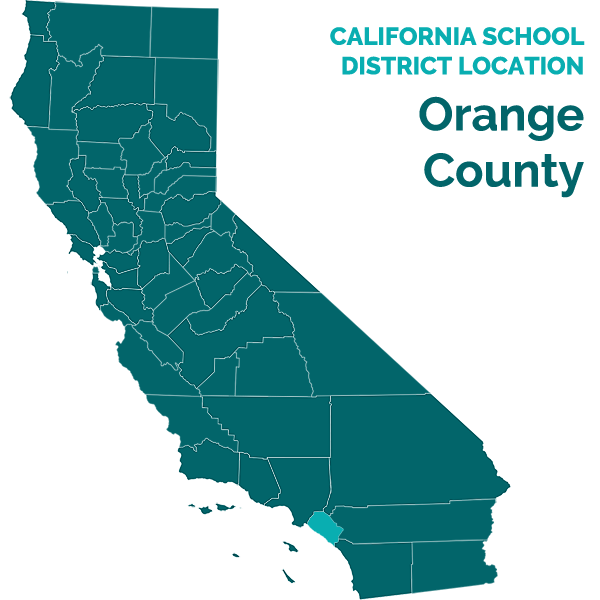 Ms. Matranga believed she would have provided 15 minutes of grade level curriculum to Student in collaboration with Laguna Hills High School (LHHS), even though she agreed it was not stated in the IEP. Futures was located on a separate adult campus, not on the comprehensive high school campus. Student would not have received remediation at the comprehensive high school. Ms. Matranga understood that Student wanted a high school diploma, wanted to go to college, and was interested in childcare as a career. She believed that many of Student’s IEP goals could be implemented in her Futures class. Ms. Matranga believed that she had better skills to benefit Student than a general education teacher would have. 69. At hearing, special education teacher Barbara Schulman explained there were three Futures classes, one was for very low functioning students, Ms. Matranga’s beginning students, and Ms. Schulman’s advanced students. Students could be rotated into Ms. Schulman’s class after they mastered skills or needed academic credits. Student could have rotated into that class at some undetermined point to receive academic instruction, but Ms. Schulman did not teach academics. Ms. Schulman considered Student’s age. She believed that Dr. Owen’s recommendations and the IEP goals could be addressed in the Futures program. She believed a full time aide would allow Student to have academic benefit to work on a high school diploma. 70. District IEP team members testified in support of their reliance on Dr. Owen’s recommendations when offering the Futures program. Ms. De Yonkers, an RSP teacher who conducted 2010 academic skills assessments, considered how Student needed reminders to stay on task. She considered how Student was following class instruction, with repetition and more time. Ms. DeYonkers opined Futures was appropriate with a one-to-one aide based on Student’s age and her desire for a diploma. Ms. DeYonkers opined that general education was not appropriate for Student’s academic classes needed to graduate. Similarly, Kathy Purcell, the program specialist for District’s transitional programs who worked on Student’s ITP, believed the Futures program with a one-to-one aide was appropriate. The one-to-one aide would help Student facilitate the credits she needed by reviewing what the teacher instructed. Ms. Purcell believed Futures supported some of the guidelines outlined in Dr. Owen’s report, to master independent living skills with peers. Ms. Purcell opined that Futures met Student’s transitional needs in an age appropriate manner, and allowed her to be with peers and earn a diploma. She agreed with Dr. Owen that Student’s same age disabled peers would be at Futures, and her same age typical peers would be at Saddleback College. 71. Another District IEP team member, Ms. DePass explained she considered Student’s needs identified in Dr. Owen’s report, and believed the IEP goals could be addressed in Futures. Ms. DePass considered Student’s age and the small window of time in which she could complete her academics and earn a diploma. She considered Student’s prior restrictive setting. She considered Student’s need for academic, transition and vocational skills. Ms. DePass concluded Student needed functional skills because of her age. Although District had not worked out the details of Student’s aide and instruction by the time of the October 1, 2010 offer, they intended it to be for a full day. They likely would have had a teacher come from LHHS to oversee Student’s instruction and plan lessons. Student could move at her own pace. While Dr. Owen recommended a quiet environment, Student could have been placed in a separate classroom for instruction. Ms. DePass opined that the large group instruction with a one-to-one aide was individually tailored for Student, and intended to give her an educational benefit. Ms. DePass opined Futures was the least restrictive environment because Student was older and would receive less educational benefit from being with typical peers. 72. At hearing, Dr. Martin and Ms. DePass explained Student delayed informing the IEP team whether she wanted the diploma track or certificate of completion track curriculum until September 27, 2010. District did not provide Student with a schedule of classes because Student had not yet enrolled in District. 73. At hearing, District’s expert neuropsychologist Dr. Owen testified in support of his neuropsychological assessment and the appropriateness of District’s offer. He opined Student had traumatic brain injury to her left frontal and temporal lobes and associative tracks. He noted a significant discrepancy between her verbal and non-verbal performance on the WAIS, the C-Toni, Tests of Memory and Learning, the TAPS, and the Delis Kaplan executive function tests showed overall, she had a greater capability for higher level reasoning on non-verbal tests. While many autonomic tests were difficult for her due to her delayed processing speed, once she understood the tests, she demonstrated a higher level of comprehension and she was capable of manipulating the information. Kinesthetic and visual testing demonstrated skills in the average range. Dr. Owen opined he had all the information he needed to evaluate her and have an understanding of her educational needs. His conclusions and recommendations spanned six pages in his report. 74. Dr. Owen opined that Student did not have an intellectual disability because her adaptive skills were not two standard deviations below the mean. Additionally, although her overall composite of intelligence was 70, the components which measured visual spatial reasoning, perceptual organization and sequencing visual information were higher, in the average range. 75. Dr. Owen described how Student’s unique needs affected how she learned new information. Student became overwhelmed with more than one sensory modality, which affected her learning and attentiveness. She had difficulty processing both auditory and visual modalities at the same time. Her kinesthetic and visual processing skills were much better than her auditory skills. Student learned best with ‘hands on’ learning modalities. Her motor planning improved with visual and kinesthetic information. Student benefited from selective reminding and repeated practice. Student had a good long term memory, and was capable of taking information and adding to it. While it was initially difficult for her to take in information, she had good recall, even when she did not appear to understand the information at first. Student performed better when she understand how the new information fit into what she already learned. 76. Dr. Owen opined Student required a high level of adult support when initiating assignments and monitoring her thoughout the assignment for a high success rate. Student’s instructional lessons needed to be chunked and scaffolded. She needed time to process information, and needed to be re-taught to store the information and recall it in her long term memory. She demonstrated the same pattern of learning for memory, visual editing, and auditory processing. Student required adjustments for more time to understand and encode information. Student needed complex information broken down into smaller segments, increased processing time, and her abstract reasoning skills improved. 77. Dr. Owen believed that because of her traumatic brain injury, Student had auditory, visual, attention and memory processing disorders. She needed a qualified speech pathologist and a specialized academic instructor with adequate training and numerous in service units. 78. Dr. Owen opined a critical component of Student’s program was to learn functional math skills to survive in society and have greater independence. Her math skills were at the third and fourth grade level, and she needed higher skills such as telling time, paying for items, calendaring events, and modeling and practicing in the community to achieve that. Student needed to develop critical self help and self advocacy skills. He recommended a comprehensive independent living skills assessment be conducted. 79. Dr. Owen understood Student wanted to attend college, live independently, and be a child care provider. He opined that a high school diploma was not required to go to college. Dr. Owen recommended a workability program with similar aged students. He recommended a comprehensive vocational assessment be conducted for her long term goals. He recommended she have a job coach and adult assistant to complete her job duties. She required direct instruction, modeling and role-playing of vocational skills, with a progressive plan to generalize the class instruction into the community. She needed guidance and repeated instruction to achieve her goals. Dr. Owen believed it appropriate for Student to attend a local community college to be with peers her age in vocational and recreational classes. 80. Dr. Owen observed the Futures program, but did not observe Student there. Initially, he did not believe it was within the scope of his evaluation to recommend educational placements, and he stated he did not have the knowledge or experience with either District’s or Student’s specific placements. However, at hearing, he opined Futures would be appropriate for Student with a one-to-one aide. Dr. Owen believed the Futures class would be conducive to her learning because there were four adults in the class. Dr. Owen observed Futures present new information visually, auditorily and experientially. Futures had access to three classrooms. He opined the offer of Futures was designed to meet her areas of need. Dr. Owen opined Futures was in direct alignment with what she was receiving at New Vista, with adjustments and accommodations Student wanted for an academic curriculum and a functional base. He opined the Futures program offered Student appropriate instruction with age appropriate peers. Dr. Owen opined it was not appropriate to place Student in a general education high school with younger and higher functioning students. 81. When Dr. Owen reviewed District’s offer, he thought the offer would allow Student to get a high school diploma. He admitted he did not know what classes she would be offered. Dr. Owen did not know if Futures provided academic instruction. He thought the offer meant an instructor would come into her class to instruct her. Dr. Owen agreed that if a teacher did not instruct her in the areas she needed to graduate, that she would not graduate. Dr. Owen thought the specialized instruction included the use of an aide. Dr. Owen described the noise level in the Futures class to be typical for that age and environment. He agreed it would be difficult for her to learn unless she was pulled into the adjacent room for an individual service. Dr. Owen understood the IEP to offer individual instruction 15 minutes per week. 82. Dr. Owen believed Student was capable of improving her academic skills. However, Dr. Owen did not know if Student was capable of earning a high school diploma. He understood she would have to pass the CAHSEE. Dr. Owen assumed the Futures program would allow Student to work toward a diploma because the IEP listed the classes she needed to complete. He admitted he did not know what specific classes would be offered to her, or how the classes would be delivered. He thought the IEP offer was appropriate to allow her to earn a high school diploma. 83. Student’s expert neuropsychologist Dr. Markel testified in support of her 2006 neuropsychological assessment4, her recent observational reassessment, Dr. Owen’s findings, and her opinion about the appropriateness of District’s offer of placement. Dr. Markel attended two prior IEP meetings for Student. Dr. Markel reviewed Student’s 2006, 2008, 2010, and 2011 Woodcock Johnson and KTEA test scores from New Vista. She reviewed Student’s transcripts from New Vista and Laguna Hills High School. Dr. Markel reviewed District’s 2010 assessments, including the psychoeducational and neuropsychological reports. She observed the Futures program for approximately 30 minutes in 2011. Dr. Markel interviewed Student for an hour in 2011. 4 District received Dr. Markel’s report at a 2008 Due Process Hearing. 84. Dr. Markel concluded that Student required an intensive school program with a strong language component, individual speech language therapy, and consultation between her teachers, providers, and parents. Student required a very structured school program with a small student-teacher ratio, repetition of material, shorter periods of learning, longer breaks between sessions, and material presented in small segments. Student’s basic skills had to be practiced until they were over learned, and she required constant review of learned material to assure continued mastery. Student needed to be taught memory strategies, such as making visual images of verbal information, and organizational strategies. Student would benefit from an AT assessment to determine if software would benefit her. Student would benefit from programs which addressed cognitive and language training. 85. Dr. Markel agreed with the findings in Dr. Owen’s 2010 neuropsychological report. However, she disagreed with his opinion that Student’s focus should be on functional skills, not academic goals. She confirmed that his results of the Test of Memory and Learning showed Student’s delayed recall score of 96, a solid average, was better than her initial recall, demonstrating that Student needed additional time to process verbal information. It demonstrated that Student was able to obtain information, retain it and demonstrate the information. Dr. Markel opined that Student was capable of working toward a high school diploma. 86. Dr. Markel could not recall each facet of Dr. Owen’s testimony regarding how Student needed to be taught. Dr. Markel agreed scaffolding the information made sense, and agreed Student should not be taught with multi-modal methods. Dr. Markel believed Dr. Owen’s conclusion was confusing, and did not understand what type of educational setting he recommended. 87. Based upon Dr. Markel’s 2006 assessment and attendance at two IEPs, her review of Dr. Owen’s 2010 assessment, and her understanding of the Futures program in 2011, she opined that the appropriate setting for Student was an educational setting with an academic focus geared toward an individual with a traumatic brain injury and speech and language impairment. She opined that Student needed direct academic instruction in reading, writing, and math, although functional math was more appropriate than higher levels of math. Dr. Markel opined that Student did not need functional skills as a primary setting, and she did not need to work on her vocational skills or self advocacy skills at this time. Dr. Markel opined Student’s academic skills were such a great need that vocational skills should not be a priority. 88. When Dr. Markel observed the Futures program offered to Student in 2011, she noted that the focus for the older students was on functional development and community living. Futures was not a diploma track program, but a functional skills and job training program. District staff did not discuss how Student would access academic classes to earn her diploma. There were no textbooks in the classroom. Dr. Markel did not believe that District’s offer of Futures was appropriate because it did not address her academic goals, only her functional goals. 89. Dr. Markel believed the Future’s class was not appropriate because visual, auditory and experiential information was presented simultaneously. Dr. Markel opined more than one sensory modality was too much information for Student to process. She explained Futures had one large classroom and a job training site. The classroom had a kitchen, but no desks, chairs or textbooks. The classroom was noisy when all the students were present. Student needed one-to-one instruction to retain information. District staff did not tell her Student would be pulled out for academic instruction. 90. Dr. Markel opined that Student could earn a high school diploma because of Student’s general trend of cognitive improvement because she could learn information, maintain it and retrieve it. To earn her high school diploma, she required speech and language intervention; collaboration between her speech therapist and her classroom teacher to generalize the therapy; a very small student teacher ratio; very individualized instruction; and academic instruction in small increments, with practice and review of material to ensure retention. Additionally, Dr. Markel opined that due to Student’s age and traumatic brain injury, she may require one-to-one instruction at times, to address fatigue, attention, and distraction. 91. Dr. Markel opined that Student had a need to be among non-disabled peers for at least part of her day and that District’s offer of general education for 13 percent of her day would have been appropriate. The Futures program was on a separate campus, not a mainstream campus. Dr. Markel opined it would not be harmful for Student to be with typically developing peers, as long as she was not required to perform at their academic level. Student was sociable in spite of her impairments, and would receive an educational benefit socially. Dr. Markel opined that an appropriate class could be art. Depending on the class curriculum, Student might not need special supplements other than RSP collaboration or an aide. 92. Dr. Markel did not believe that District’s offer of Futures for 340 minutes a day with a one–to-one aide was appropriate because it did not address her speech, social and community goals in the least restrictive environment. The offer provided for direct academic instruction from the aide, but not from a special education teacher. The Futures program was a large group setting, while Student needed a small classroom due to her attention and multiple processing impairments. A one-to-one academic setting was most appropriate for her because of her age. 93. Dr. Markel opined Student should receive compensatory education for the denial of FAPE which included a one-to-one academic setting, taught by an experienced teacher, focusing on issues related to her brain injury. Dr. Markel believed Student had benefited academically from the instruction she received at New Vista based upon Student’s improved KTEA scores. 94. Ms. Donnelly testified in support of Student’s ability to obtain a high school diploma. Ms. Donnelly was executive director of New Vista school for three years, and was vice president of its Board of Directors for five years. She had extensive training and experience in special education. Ms. Donnelly earned a Master’s degree in Education. She worked as a classroom teacher. Ms Donnelly was a special education director for a public school district in Massachusetts for 10 years. She was a special education compliance consultant for the Department of Education in Massachusetts. She worked with non-profit associations such as Court Appointed Special Advocate (CASA), and the Association of Developmental Disability Providers for seven years in Massachusetts. Ms. Donnelly was a board member of the University of California, Irvine Medical Center Association. Currently at New Vista, she had five students with traumatic brain injuries. She consulted regularly with a traumatic brain injury specialist. Several of her students with traumatic brain injury have graduated with a high school diploma. Student was taught remediation when she started, but she no longer requires it. She had advanced one-to-two grade levels. She believed that Student’s need for language development requires a very consistent approach. Based upon her knowledge of Student’s progress, she believed Student was capable of earning a high school diploma. 95. Student’s classes at New Vista had between four to eight students and one teacher. Student was enrolled in Math 2B, Writer’s Workshop 2, Life Science, Computers, Art, Transition IIB, and Reading Lab. Student made progress, according to New Vista’s KTEA-II Brief conducted on April 2011. In Reading, Student scored in the 8th percentile in 2010, and the 10th percentile in 2011with a standard score of 81. In Math, Student scored in the .3d percentile in 2010, and the 1st percentile in 2011 with a standard score of 67. In Writing, Student scored a .1 percentile in 2010, and the 21st percentile in 2011 with a standard score of 88. 96. New Vista’s 2011 academic report from September 2010 to May 2011 showed that overall, Student demonstrated great improvement over previous years when she had difficulty with reading comprehension and fluency, critical thinking, and participating in group discussions. Student’s response time had improved significantly. Student greatest progress was in reading fluency, comprehension, and organization of her writing. She was very involved in her reading comprehension group and actively participated with her peers. Student’s social skills improved and she developed many friendships. 97. In her Fast Forward Reading program, Student received one-to-one instruction twice per week. Her Word Recognition/Phonemic Awareness-Decoding had improved from the sixth grade level to the 10th grade level. Her independent reading level improved from the fifth grade level to the 10th grade level. Student’s instructional textbooks improved from the seventh grade level to the fifth and eighth grade level. Her spelling improved from the fifth through eighth grade level to the eighth through 12th grade level. Student’s fluency improved from slow to 142 words in two minutes. She began the Fast Forward program at the Literacy level when she began New Vista, and improved to Reading 3. 98. Student showed improved skills in her Writer’s Workshop class. She used appropriate level workbooks and her instructor monitored her output. In September 2010, Student functioned at a beginning fourth grade writing level, and by May 2011, she was completing that level. In Life Science, she began the year with little prior knowledge, and she progressed to learn about cells, cell division, organs and organ systems. In her Computer class, she used the Prentice Hall keyboarding program, and her keyboarding improved from 12 words per minute to 24 words per minute. In Art, Student demonstrated average fine motor skills. Her class participation and self-advocacy improved. 99. Student testified in support of her opinion that Futures was not appropriate for her. She explained she knew how to do laundry, cook, wash dishes, take out the trash, and clean her home. During her observations of Futures, there was no class instruction. No homework was assigned. Student opined she wants to have homework because it helped her learn. Student described a speech she made at a promotional ceremony at New Vista. She wanted a job in daycare or art. 100. Mother testified in support of her belief that District’s placement offer was not appropriate. At the September 24, 2010 IEP team meeting, Dr. Owen never determined whether or not Student could get a high school diploma. At the October 1, 2010 IEP, District never clarified if Student would be receiving academic curriculum. When she toured Futures, the teachers were not teaching academics. Mother had observed many positive changes in Student with New Vista’s program. Student was more confident, more organized, more social, has a larger vocabulary, engaged in reciprocal conversation. Student still required a longer response time to formulate words, but that time has significantly increased. Mother explained Student had already completed writing a resume and other transition skills at New Vista. Mother opined Student did not need a job, and that the focus of her program should be academics. 101. District’s 2010-2011 school year began September 13, 2010 and ended June 21, 2011. There were 14 days of instruction between September 13 and October 1, 2010. There were 161 days of instruction from October 1, 2010 to June 23, 2011. Student attended New Vista during the 2010 ESY and the 2010-2011 school year at the cost of $2,150 per month, for a total of $21,500 for ten months of instruction. Parents have not paid that tuition due to financial inability. Parents drove Student to New Vista, five miles round trip, twice per day. Student missed fifteen days of instruction. Parents did not give notice of unilateral placement to District. 2. In Issue One, Student contends that District denied her a FAPE during her triennial assessment in May 2010 when it failed to timely assess her in the areas of assistive technology up through April 28, 2011, and central auditory processing. District contends that Student was not denied a FAPE on this ground because it had properly assessed Student in all areas of suspected disability. 7. Student failed to establish by a preponderance of the evidence that District failed to assess Student in all areas of suspected disability, namely central auditory processing and assistive technology, in Student’s May 2010 triennial assessments. Student alleges that District had notice of her 2006 speech and language and audiometric assessment which identified auditory processing as a disability, and notice of an assistive technology assessment which recommended a slant board, computer, and software program. Consequently, Student contends that District should have assessed in those additional areas for the May 14, 2010 triennial assessment, and that its failure to due so until April 2011 was untimely. However, the evidence established that Student’s claims were barred by the settlement agreement which contained prospective waivers of educational responsibilities under the IDEA and Education Code up to June 23, 2010. 8. At the time of the triennial assessment, the settlement agreement was in effect. Parents and District entered into a two year agreement in which District had no educational obligations to Student up through June 23, 2010, other than providing transition services of facilitating enrollment in the CAHSEE preparation course and enrollment in Futures 2010 ESY. In preparation for the IEP for the 2010-2011 school year, the agreement permitted District to assess four areas of need: communication/language, adaptive behavior, social/emotional, and academic. Parents timely signed the proposed assessment plan without changes or additional requests. Pursuant to the prospective waiver, Parents are barred from challenging the sufficiency of these four assessments. 9. Additionally, District’s four areas of assessment provided District with sufficient information that Student continued to have an eligible disability. District’s four areas of assessment reasonably sought to determine her present levels of performance and educational needs, and whether additions or modifications to the IEP were needed to meet annual goals and to enable Student to participate in the general curriculum. Specifically, in academics, the observations and tests included achievement tests for basic reading and comprehension, written expression, math calculation and reasoning, oral expression and/or listening comprehension; in speech and language, the assessment included observations and tests which measured Student’s ability to understand, relate to and use language and speech clearly and appropriately, and measure auditory processing skills; in social/emotional, the observations and tests included measuring the ability to build and maintain satisfactory relationships and demonstrate appropriate behavior across situations; and in adaptive behavior, an alternative assessment was also identified. 10. District’s assessments determined that Student had the following disabilities: speech and language deficits in expressive and receptive language and auditory processing, significant developmental delays in language, cognition, adaptive behavior, semantics, syntax, morphology, and pragmatics. As such, District’s speech and neurological assessment both tested Student in auditory processing. Although a 2006 AT assessment determined that Student had benefited from assistive technology, Student’s teachers at New Vista did not inform District that she required AT for instruction at the time of the May 2010 triennial assessments. 12. In Issue Two, Student contends District denied her a FAPE at the May 14 2010 triennial IEP and ITP meeting when failed to offer her an appropriate placement in the LRE for 2010 ESY. District contends it provided FAPE at all relevant times, and that Student is not entitled to compensatory remedies. 15. In Issue Three, Student contends that District failed to offer her an appropriate placement in the LRE for 2010-2011 school year. District contends it provided FAPE at all relevant times, and that Student is not entitled to compensatory remedies. 20. School districts must have available a continuum of program options to meet the needs of individuals with exceptional needs for special education and related services as required by the IDEA and related federal regulations. (Ed. Code, § 56360.) The continuum of program options includes, but is not limited to regular education programs; resource specialist programs; designated instruction and services, including, speech and language, adapted physical education and occupational therapy; special classes such as special day classes; nonpublic schools; and instruction in the home, hospitals or other institutions. (Ed. Code, § 56361.) There is no requirement that the IEP team discuss all possible choices on the continuum of program options at the IEP team meeting. 25. Student met her burden of establishing that District failed to offer her an appropriate placement in the LRE for the 2010-2011 school year. The evidence showed that on October 1, 2010, District offered the Futures program with related services for the 2010-2011 school year. Before determining the appropriateness of this placement offer, it is necessary to determine whether the placement was in the least restrictive environment. 26. Here, when applying the Rachel H. factors, the evidence established Student’s ability to receive educational benefit of full-inclusion in the regular education environment would have been limited given her deficits and slow processing time, attention, and memory issues, as established by both Dr. Owen and Dr. Markel. Although Student could have received a non-academic benefit of socialization, the evidence shows that Student would have had a significant impact on the teacher and the other students in the class, as Student would have required an inordinate amount of the teacher’s time to ensure Student understood the material, given Student’s low grade level status, and the need for Student to have information repeated to her. Neither party presented any evidence concerning the costs of mainstreaming Student. Balancing these factors, it is clear Student would not have been a candidate for full-time general education environment. 28. Here, District’s offer provided that Student would spend 13 percent of her time in general education environment. Neither party presented any evidence suggesting the 13 percent was too much or too little time. Dr. Owen did not believe Student should spend any time in general education because she would not be at the same cognitive level as her typical peers. Dr. Markel opined that Student could take an elective class in general education. Both expert psychoneurologists established Student required a small environment with limited noise, because of her auditory and sensory input deficits. As such, it is reasonable to conclude that placing Student in a general education environment for more than 13 percent of her school day could have an adverse affect on Student. Thus, District’s offer included an appropriate amount of general education time. 29. Although it is established that Student was not a candidate for a full-time general education environment, the evidence showed that the Futures program was not an appropriate placement for Student. 30. Dr. Markel credibly opined Student required a primarily academic program with a strong language base because her academic skills were such a great area of need and Student was capable of working toward a high school diploma. Dr. Markel disagreed with Dr. Owen’s opinion that Student’s focus should be on functional skills, not academic goals. She did not believe that Student needed a functional skills program as her primary setting. 31. Dr. Markel’s testimony was persuasive because of her extensive training and education as a neuropsychologist for 30 years. She had extensive training and experience in the field of rehabilitative psychology for adolescents. Dr. Markel has been a staff neuropsychologist and professor at the Sharp Rehabilitative Center for 20 years. Dr. Markel she observed the Futures program; she assessed Student’s neurocognitive skills in 2006, attended two IEPs, interviewed Student in 2011, and reviewed Student’s KTEA scores over multiple years. Her personal observations and knowledge of Student’s deficits and abilities showed a greater understanding of her speech and academic needs, and the placement and specialized academic instruction Student would require. 32. Dr. Markel’s opinion is supported by the evidence. The evidence established that Futures did not provide the curriculum to address Student’s academic needs, as Futures was primarily a functional workability program. Although Student also needed some functional skills training, she did not need to do so at the detriment of academics, as even Dr. Owen agreed that Student was capable of continued academic progress. The evidence showed that while Student’s academic skills were quite delayed, between the third to sixth grade level, Student’s adaptive living, transitional and functional skills were largely average and age appropriate. Speech and language, socialization and academics were her greatest area of need. In sum, her functional skills were not so low that she required primarily a functional skills program, as she had met many of the transition goals. 33. Student’s unique needs included a traumatic brain injury with a general trend of improvement. Her non-verbal cognition had increasingly grown stronger over fifteen years, as noted by Dr. Markel and Dr. Owen. Both experts noted Student obtained progressively higher test scores with repeated practice. Additionally, New Vista’s assessments and reports showed she no longer required remediation. Student was capable of learning new information and retrieving it from her long term memory. At New Vista, from 2008 up through the October 1, 2010 IEP, Student had an academic setting, and made progress in an academic setting. Student needed an academic setting to have a basic floor of educational opportunity. 34. Moreover, Dr. Markel persuasively testified that the Futures class of 15 students and four adults was too large a setting to provide an academic benefit. The setting was not appropriate because of Student’s auditory processing disorder, memory, and attentional issues. She would have been distracted by the noise and social opportunities. Dr. Luby’s and Ms. DeYonker’s observation of Student at New Vista established that Student learned in a small group setting, of between four and nine Students, and that her inattention was typical for her peers. In light of Dr. Markel’s recommendations that Student receive specialized instruction on a one-to-one basis, and speech services on a one-to-one basis, a class of 19 was too large, even if Student could occasionally be pulled into an empty room. Similarly, Dr. Markel persuasively testified that Futures was not an appropriate placement because it used multi-modal instruction, which would overwhelm Student’s sensory input. 35. Dr. Markel’s opinion that Futures was not appropriate was further supported by the credible testimony of Ms. Donnelly. Ms. Donnelly’s opinion that Student was capable of earning a high school diploma was persuasive. She had significant educational training and employment in special education. She had experience with the educational planning required for students with traumatic brain injury to obtain a high school diploma. Ms. Donnelly observed Student almost weekly. She participated in two of Student’s IEPs and reported on her present levels of performance. Ms. Donnelly was the person most familiar with Student’s educational abilities and progress. She believed Student required a small group setting and a consistent approach for language development. The Futures program did not offer that setting. 36. District contends based upon what it understood about Student at the time of the IEP, it reasonably relied on Dr. Owen’s report to make its offer of Futures. It relied on Dr. Owen’s assessment recommendations that Student’s education should be primarily functional. According to his understanding of the Futures program, Dr. Owen believed Student’s IEP goals could be implemented in the Futures program. However, District did not offer an academic program in a small group or one-to-one setting that permitted her to work toward any academics, including classes she needed to earn a high school diploma. Therefore, Dr. Owen’s testimony that Futures was appropriate for Student’s goals was not persuasive. 37. Despite the District’s contention that the offer provided a means in which Student could receive academic instruction, namely in the form of an all-day one-to-one aide “to meet academic goals and objectives and to obtain a high school diploma,” the evidence established the proposed aide was not a credentialed special education teacher, or even a teacher at all. According to the credible testimony of Dr. Markel, Student required sufficient individual and small group instruction to work on her academic goals. According to the assessment results, even those from District’s expert, Dr. Owen, Student required trained specialized academic instruction with intensive adult support. The evidence failed to establish that the one-on-one aide offered by District was qualified to provide such specialized academic instruction. As such, District’s offer of the Futures program with a one-on-one aide did not adequately address Student’s academic needs. In addition, even though the Futures program was taught by a credentialed special education teacher, the evidence showed that that teacher did not provide academic instruction, only functional instruction. Ms. Matranga’s belief that she would have provided 15 minutes per week of academic grade level instruction was not supported by the record. The IEP identified that the specialized academic instruction was for workability goals, not for academics. District’s offer of 15 minutes per week of academic instruction from a qualified teacher was woefully insufficient given the extent of Student’s academic needs, and Student required more than 15 minutes per week of group specialized academic instruction from a special education teacher to work on her workability goals. 38. District further contends Student could have rotated into other classes, and that a LHHS teacher would have helped Ms. Matranga with academic instruction at some undetermined point. However, that is not what District offered. District’s offer did not provide for Student to rotate out of the initial functional program to receive academic instruction through either RSP with a credentialed teacher or inclusion in a second classroom. District directed Parents to observe the initial Futures program which included no academic instruction, and only offered the initial Futures program. 40. Finally, in Issue Four, Student contends that District failed to offer her an appropriate placement in the LRE for the 2011 ESY. District contends it provided FAPE at all relevant times, and that Student is not entitled to compensatory remedies. 43. As discussed above, Student prevailed on Issue Three, the offer of placement for the 2010-2011 school year, and District prevailed on all other issues. Student contends she is entitled to compensatory remedies in the form of an assessment in the areas of central auditory processing and assistive technology, the cost of tuition and educational services, and an order that District provide her with placement and services in the LRE. District disagrees, and contends Student is not entitled to any compensatory remedies. 47. As set forth in Factual Findings 1 through 101 and Legal Conclusions 1 through 52, District denied Student a FAPE when it failed to provide Student a FAPE for the 2010-2011 school year when it offered the Futures program for 340 minutes per day with 15 minutes of group specialized academic instruction per week from a special education teacher (Issue Three). As such, Student is entitled to appropriate relief. The evidence showed that, with respect to Issue Three, Student required a small group setting, one-to-one academic instruction, and a strong language component. Student’s private school placement (New Vista) was appropriate for reimbursement under the meaning of Carter. The program and services there met Student’s unique needs and she received an academic benefit, as established by the persuasive testimony of Dr. Markel and Ms. Donnelly, who testified that Student improved more than one-to-two grade equivalents. 48. Although Parent’s have not yet paid the tuition to New Vista, they have been billed for the 2010 through 2011 school year and are required to pay it. Although Parents did not comply with providing District either written notice or notice at the IEP that they would seek unilateral placement, as discussed in 34 C.F.R. § 300.148 (2006), that section does not apply to children who were not enrolled in the district. Because of the 2008 settlement agreement, Student was privately placed for almost two years. Therefore, for purposes of reimbursement, Student will be treated as if she had never enrolled in District. Parents did not otherwise engage in any conduct which warrants reduction of award. While New Vista delayed in providing records to District, the records were provided to District in time for the IEP team to consider the information. That delay should not be attributed to Student. 49. Student is entitled to the cost of tuition and transportation for the 2010-2011 school year. However, District is entitled to some offsets, as discussed below. First, Student shall be entitled to the cost of tuition beginning October 1, 2010 through the end of June, 2011. She did not demonstrate a loss of educational benefit from not receiving the FAPE offer on September 13, 2010, the first day of school, until October 1, 2010, the day the offer was made. District exercised great diligence in conducting multiple assessments, gathering academic information and convening four IEPs by October 1, especially when Student had not been enrolled in District for many years, and New Vista delayed providing information often until the day of the respective IEPs. As such, Student is entitled to the cost of tuition and educational services from October 1, 2010 to the end of June, 2011, from the date of the IEP offer to the end of 2010-2011 school year, for nine instructional months, in the amount of $2,150 per month. One month of instruction is approximately 4.2 weeks per month, or $512 per week. District will not receive an offset for the period of June 21, 2011 to June 30, 2011, as New Vista’s invoices were monthly and not weekly. Therefore, Student is entitled to reimbursement for $19,350.00 for nine months of instruction. 50. Student is also entitled to round trip mileage, 10 miles per day, at the IRS rate of .555 cents, or $ 5.55 per day, for 161 days of instruction, minus 15 days which she did not attend, in the amount of $ 810.30. 51. This remedy is sufficient to address District’s failure to provide Student an appropriate placement for the 2010-2011 school year, and Student is entitled to none of the other forms of relief requested in her complaint. District shall reimburse Student $ 19,350.00 for the cost of New Vista tuition and educational services from October 1, 2010 through the end of June, 2011. District shall reimburse Student $ 810.30 for mileage for attendance at New Vista. District shall pay this sum to Parents within 45 days of the effective date of this Decision. Pursuant to California Education Code section 56507, subdivision (d), the hearing decision must indicate the extent to which each party has prevailed on each issue heard and decided. District prevailed as to Issues 1A, 1B, 2, and 4. Student prevailed as to Issue 3.